the leadpile: Are your Ranks just as smelly as your Flanks? What intrigued me was that, after all this time, these are still the only real options that ex-warhammer players have if they still want to play the kinds of games that they used to. It also made me consider that, in some way, I had been here before. 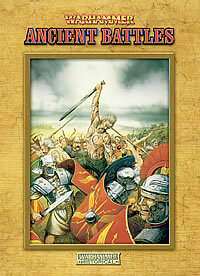 Warhammer Ancient Battles (WAB) was a historical version of 5th edition WFB. It was a reasonably successful game with a decent amount of players and was a handy route for Fantasy players into Historical games. 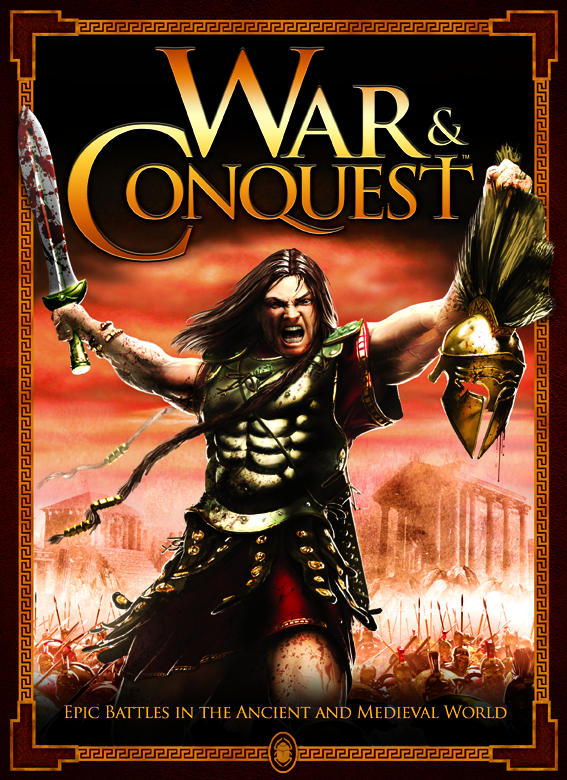 It had the same presentation quality in the main rulebook as you'd expect from a Warhammer ruleset and had a whole series of , increasingly, solid and well researched supplements which encouraged playing armies within a historical setting (ie realistic match ups rather than Romans fighting Normans for instance). There was a healthy community, a busy Forum and regular campaign weekends at Warhammer world and even tournaments at the same venue. It was the kind of ruleset that you would see being used at shows all over the country to play historical 'Rank and Flank' games. 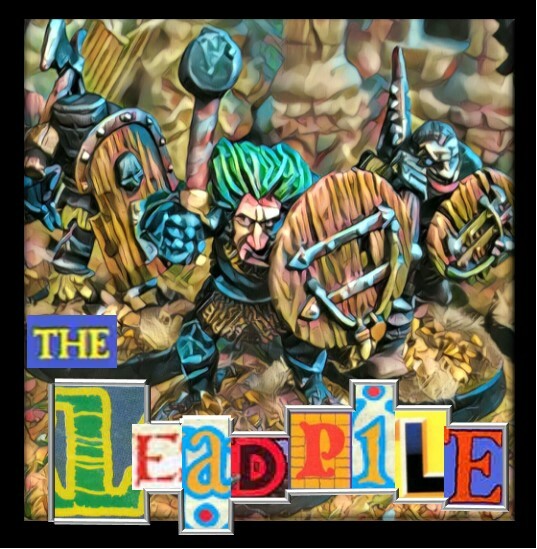 Loads of miniatures companies based their releases on the latest WAB supplements and many probably started as a business because of the popularity of the game. 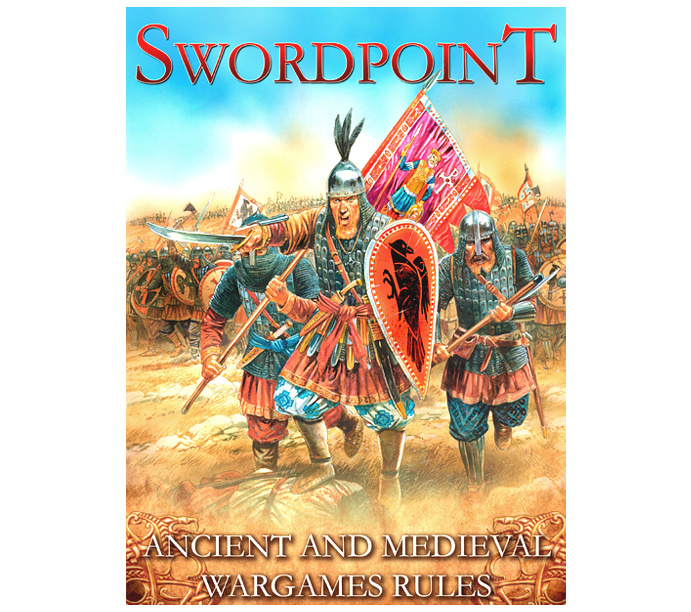 There was an English Civil war version as well and Warhammer Historical (the historical division of GW) also made rules for the Old West, Pirates, First World War and even an Ancients version of Warmaster. Then in 2010 a 2nd edition of WAB was launched alongside a big old book of army lists. Not long after, things started to unravel. Some of the people behind the Warhammer Historical brand left the company (or were made redundant) and by 2012 the brand was gone and so were all the games. WAB was gone. So whats that got to do with Warhammer? Surely that was just a financial decision? Well yes, it was but why WAB ended is not the relevant part of the conversation as much as what happened next. What happened was that there were a number of products released that attempted to plug the hole in the market that was left by the demise of WAB. 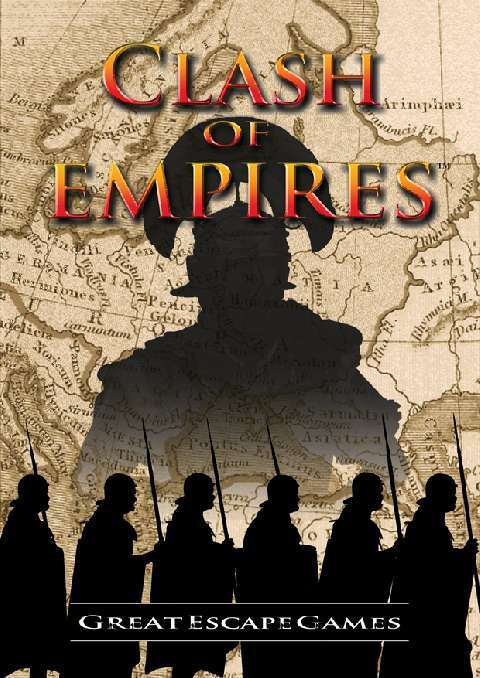 War and Conquest, Clash of Empires, Hail Ceasar, Swordpoint, Kings or War (Historical) and arguably SAGA and Lion Rampant have all come out in the last 6 years and in some way are attempting trying to ensnare some of the wargamers searching for a successor to WAB. This is a lot of rulesets for a small part of the Historical market which is in turn much smaller than the gargantuan market share that GW commands with its games and models. So why, taking the large number of WAB replacements, has there been so few attempts to replace Warhammer for the 'Ranks and Flanks' fantasy market? Do you know what? I'm not even going to attempt to answer that one. I'm just going suggest you put it in your pipe and smoke it. The answers you come up with are probably just as good as any I come up with. Plus you are less likely to argue with yourself. I'm going to suggest that when WAB imploded nobody realised just how much the influence and input of games workshop was on the organised gamer scene. For years other sides had been eating away at their base line and they decided to slash and burn their existing customer base in favour of one that made quick and regular sales. For years Warhammer was the vehicle to sell large volumes of figures. And these vast armies were only needed to fight Warhammer games. When GW pulled the plug, very few gamers had the justification to keep buying in their droves and these new games did not have the sway over the organised market like GW did and there were far more other short attention span alternatives about. As such no new real rank and flank games made the strong connection like Warhammer did. Smaller games sprung up and AOS became the marmite option. 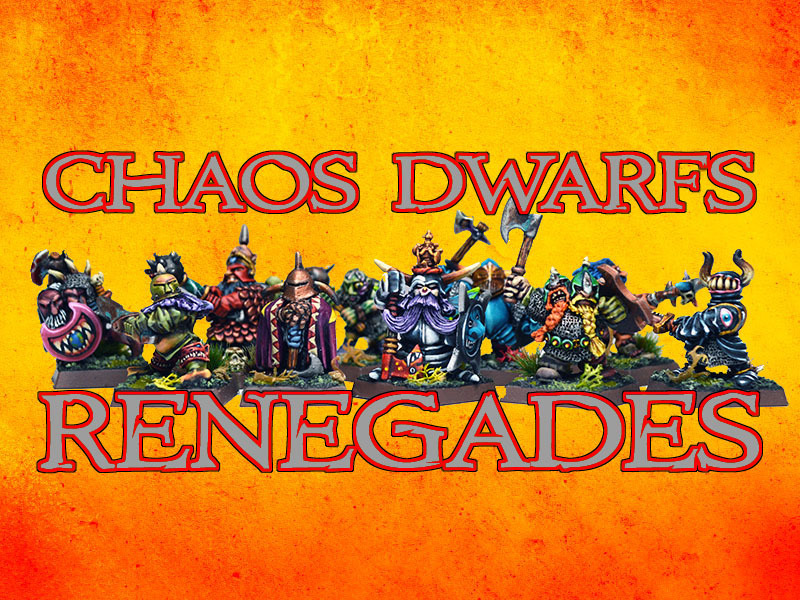 Lack of DIY punk attitude among Warhammer players? When it comes to converting, it's there of course, but not when it comes to rules. Hardly anyone ever thinks about rules in a creative way, and there's almost zero interest in trying out something new. People may grumble, but they tend to go along with whatever comes from GW. This I agree with - a lot of the complaints I read about various gaming gripes are easily fixed with a bit of DIY punk attitude. Point this out though and the inevitable “but I won’t be able to get pick up games then! !” gripe gets deployed. Looking forward to this new Warlords game, as I like fantasy mid range skirmishes but didn’t really take to the AOS Rules when we tried them. Because Warhammer 5th edition is the best, it never needed to be replaced, and everyone is (or ought to be) still playing it! Also it was so strange at the time that the hugely successful WAB just died so suddenly after they released the 2nd edition. I put it down to replacing a mechanic based on 5th ed. WHFB with something far inferior. Same with WHFB, it just took longer! There's also the durability issue with many of the post Warhammer games as there's nothing more frustrating than finding a new game, collecting and painting an army and then finding either nobody else plays it or it promptly goes out of print (I'm looking at you Leviathan, Kryomek, Warzone, Chronopia, Void and VOR!). I must admit that I'd still love to collect and paint a good old fashioned Fantasy Battle army but I just don't have the time, money or space for such an undertaking these days. Don't know if that answers your question but I'll be interested to see what others have to say! It's not just about the money & hobby effort to get an army though. If you want to do proper Age of Sigmar as GW likes it to be played, you're looking at a pretty big figure count as well. The difference is, the game offers a growth path that allows you to start small and still have a decent game, and build up to large battles (that may or may not be fun, I wouldn't know personally). With a "ranks & flanks" type game, it might not be so easy to start small and grow. As for the durability issue of Warhammer competitors, here it's really the gamers who are to blame. Your average fantasy gamer wants a full package including rules, background (presented in quality books with plenty of high grade illustrations) and bespoke miniatures, all regularly updated in an ambitious release schedule that brings you new stuff every few months at least. And even then they often won't play unless enough of their friends also commit. For companies the investment is huge, so either a new game becomes large enough quick enough, or it tanks & sinks. It shouldn't surprise anyone that only a handful of these games (Warmachine/Hordes, Kings of War, Malifaux) develop staying power. I think it's a series of factors. First is that for those who just want to play a game of fantasy battles, there are already a plethora of rulesets out there, so for independent rules writers, there's not really a market gap there. When I got back into Warhammer this year, I went for Third Edition; had never even looked into the rulebook before this year. If I wanted different rulesets, then there's plenty out there. Skirmish is a different story as you can make a name doing something somewhat different, there's a ton of range for experimenting with different rules and the low number of miniatures required means that it's easier for people to go 'Oh let's try this'. As for manufacturers who want to put out rules and then a dedicated range, I think there's an issue with risk involved. The companies out there that could produce a new not-Warhammer' would have to effectively create, what, a dozen or more full ranges of fantasy miniatures? On top of their existing lines? For a market that may not even exist anymore as the tourney scene which is one of the core reasons why many people bought into modern Warhammer Fantasy (and 40k and Age of Sigmar) is pretty packed at the moment? It could be done, certainly, but it's an awfully large risk to take for most companies, and most wargame companies are essentially very small in numbers and investment. The number of companies who could effectively do this can't be large, and that's a rather hefty risk involved. Northstar is having a go at it, but is using other games to bolster its output and is also producing rather generic miniatures that can be used for anything under the sun in its Oathmark range (with Frostgrave being a bit more themed, but still easily usable for most things). And even then, each faction in their range is mostly a single box plastic set with some metal miniatures on the side for each faction. There may also be a third reason, and this is just conjecture on my part, but while there is no sign of GW bringing back rank and flank fantasy, there is always the risk of it. If a company went out, produced rulesets, and even miniatures, and invested a lot of time and money into it all, if GW decided one day to bring back Fantasy, they've lost out as people will of course flock to GW as many people don't care about the rulesets or even the miniatures; they just want to play what they think other people play. This isn't to say that I think GW is bringing back fantasy, only that the risk is there and investors/owners/etc may not want to take the plunge. I know it’s a bit heretical, but people could still play any of the editions 1-8 of WHFB... I still play Epic, and that died abou 20 years ago! And how many of your regular opponents came to Epic in, say, the last 10 years? Indeed, I still play 5th edition with one friend and 7th ed with another. I would love to get into Epic as well, but I don't have the time or money at the moment (or opponents at the ready--which is usually what makes or breaks a new project). We also play 2nd ed. for 40K. So yes, why don't people just play the version they liked best?! Great discussion. In my humble opinion, it’s the combination of an increasingly cynical world and the ‘burn’ felt from amassing a large collection (including the time taken to build/paint an army and foster a community) only to have it dismantled right in front of your eyes. Many old-timers are either distrustful of Games Workshop (like yours truly) or want to ‘stick’ it to them with a competing product.